How can a company send a clear advertising message without ever showing the logo or mentioning the name of the brand? Fortunately for MARS®, the Snickers® bar is one product that can succeed in this respect. 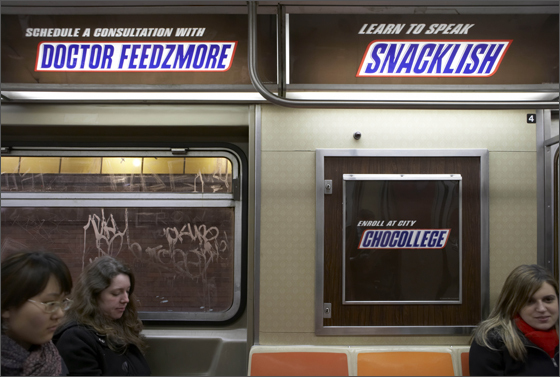 In a recent outdoor campaign, advertising agency TBWA/Chiat/Day found a way for Snickers® to take advantage of their easily-recognizable logo to send a simple, emotive message.